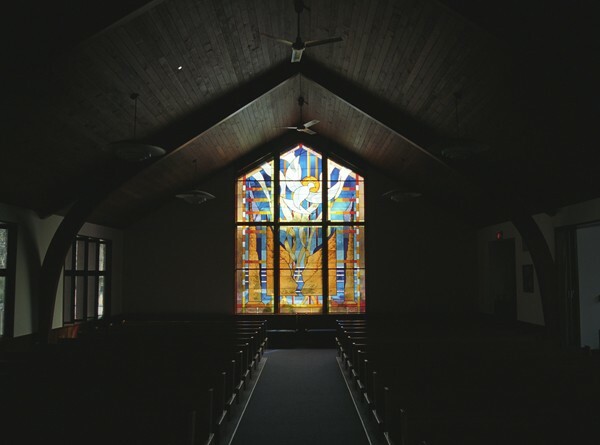 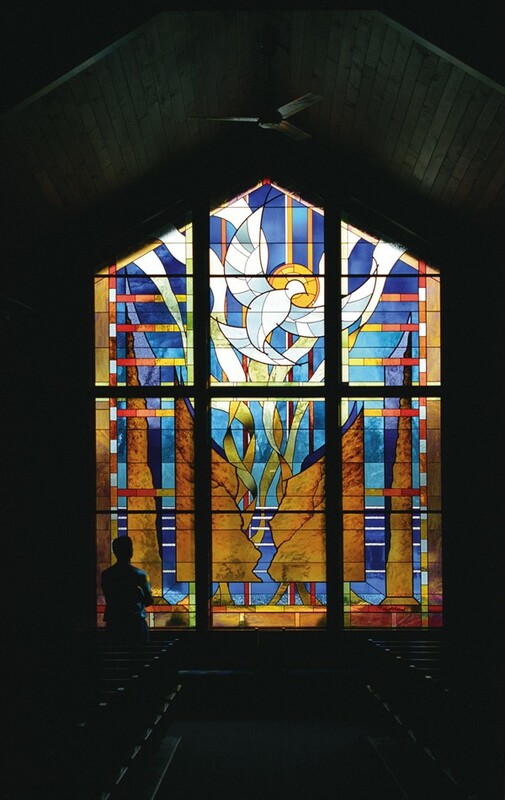 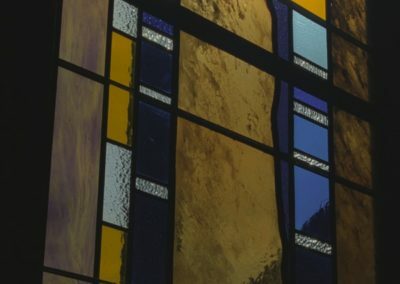 To design and fabricate a new stained glass window, 14’h x 10’w, for the narthex at Greendale Community Church, Greendale, Wisconsin. 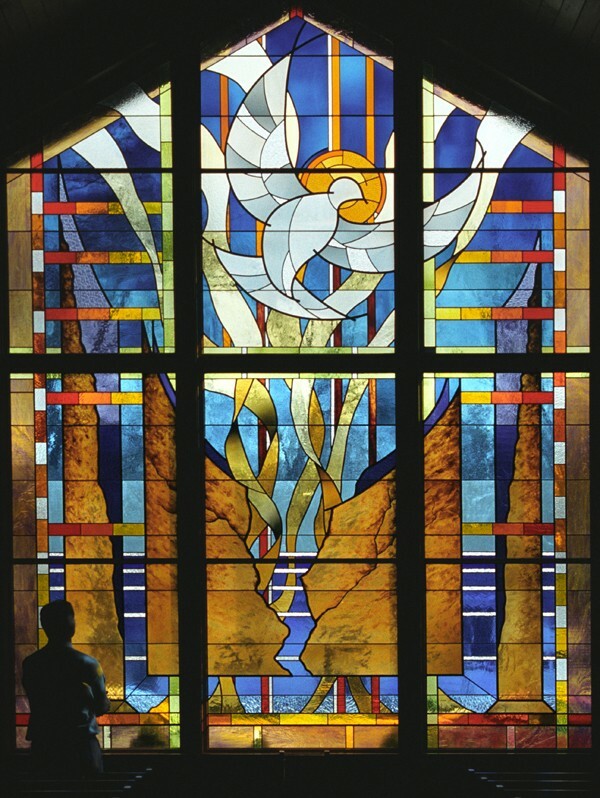 The window was to incorporate symbolism in a contemporary style window. 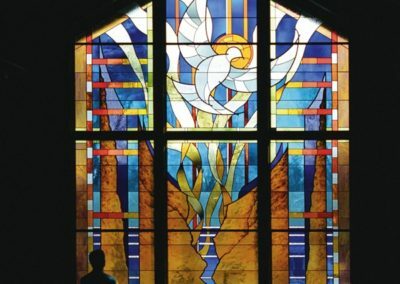 An interpretation of the spirit breaking away from the bonds of the physical world, Dei Gratia greets the congregation as they enter the church through the narthex. 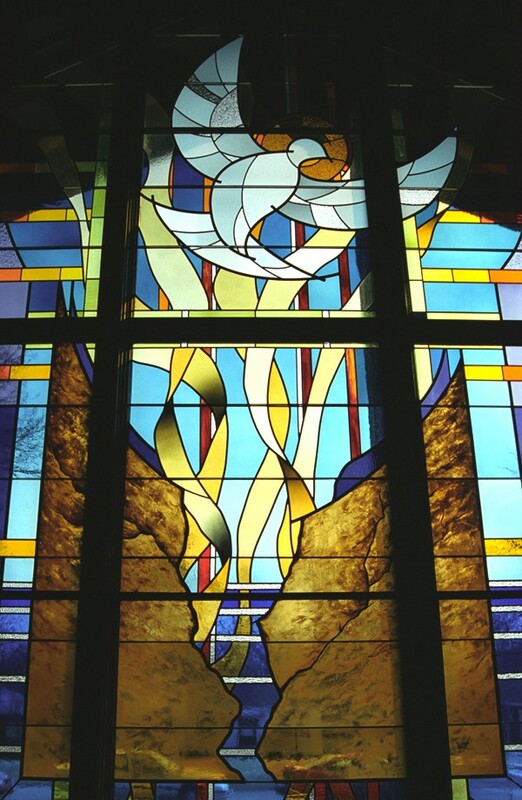 The material world is represented in the hand painted, broken architectural and earth elements, and the spirit can be seen in the figure of the dove. 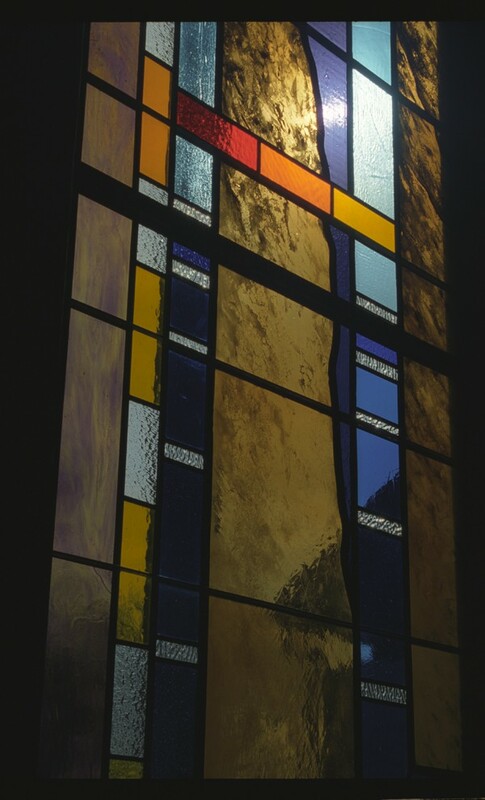 The blue background recalls water and its associations with cleansing, baptism and life-sustenance. 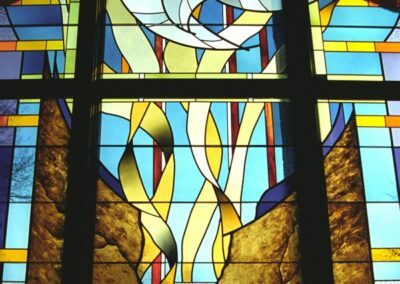 The swirling ribbons represent the grace of God. 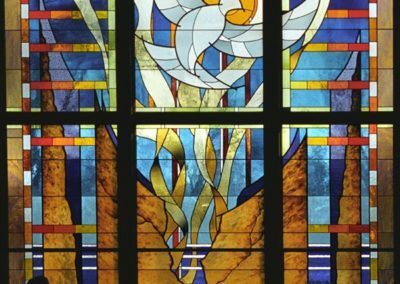 The brilliantly colored window also incorporates crisply colored geometric lines – a creation of man – that add tautness to the design. 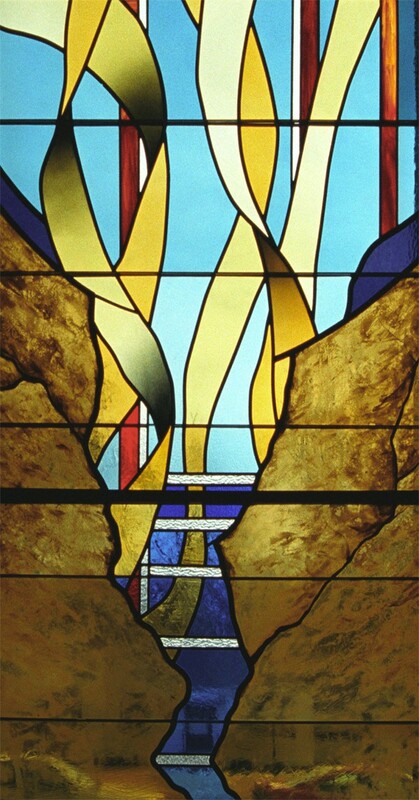 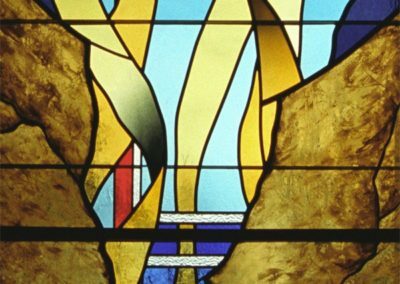 Clear, textural and opaque glass is used to advantage in the window, and some pieces have been enhanced through airbrushing, hand painting and silver staining.